Travelling is one of the most popular hobbies all around the world, and when someone comes back from a wonderful place they feel lighthearted and happy. Yes great travels create happy travellers. So if one has to create a travel plan for their family, what would it be? Where would we go? How can we enjoy to the fullest? these are only few questions which come to mind as soon as you think about going on a holiday. Same is the scenario with me as I have to plan a wonderful holiday to anywhere on the planet. This present a very interesting problem as our planet is graced with such wonderful places that choosing just one is next to impossible, but in order to make sure that if we actually go there my family can enjoy themselves without much problems. 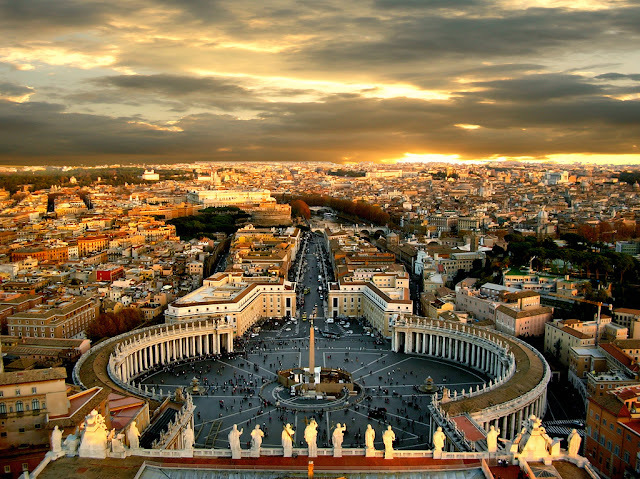 I would love to take my family on a great travel to Rome. The reason why I chose Rome is very simple it has been one of my first ever choice for an International holiday forever. Rome is full of History and my family loves historical places. My Dad always wanted to go to Rome too finally I would be able to fulfill his wish too. For the most convenience I would prefer booking the entire holiday with an International touring company like yatra.com because they have a knack for 'Creating Happy Travellers'. After all who wouldn't be happy if all their worries about hotel booking and sight seeing etc. are handled well before their arrival on destination. This way we could focus solely on enjoying our holiday and taking full benefit of the tour to the faraway country. First stop in our awesome tour of Rome would surely be Coliseum, after all its one of the most recognized sight in Rome. 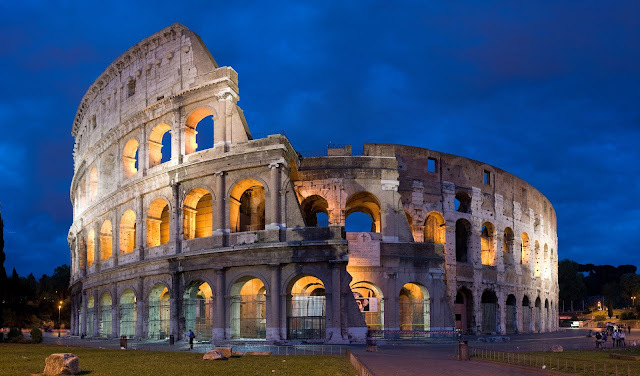 After the amazing Coliseum we would love to visit the wonderful city of Rome after all the best way to know a place is to walk among its people and to use the public transport. Rome is famous for its statues and ancient buildings. Italy also has Vatican City, Venice nothing can be missed. After thoroughly enjoying the local cuisine and local places no one could stay unhappy and on top of that if you are with yatra.com then there is no chance at all that you would have even a slightest chance of a complain. When you can have no chance of complain and you spend your time enjoying the sights and storing them forever as pictures. Other travel companies may learn from yatra.com the way to proper arrangements and way for "Creating Happy Travellers!". Note - This post would also be acting as my 5th post for the month of September on September 5 2013. I am working to post at least one entry on anyone of my blogs on each day of the month. Rome is a lovely place to visit, no doubt. Hope the trip makes you happy. Thank you very much Arvind sir. Thank you very much Anita .. I am thrilled .. Thanks to all.